ODFW released its draft proposed Wolf Conservation and Management Plan today at www.odfw.com/wolves. The Fish and Wildlife Commission is expected to vote on the Plan at the June 7 meeting in Salem. Public testimony will be taken during the June 7 meeting and can also be sent to odfw.commission@state.or.us Emails sent by May 23 will be in review materials shared with Commissioners prior to the meeting. 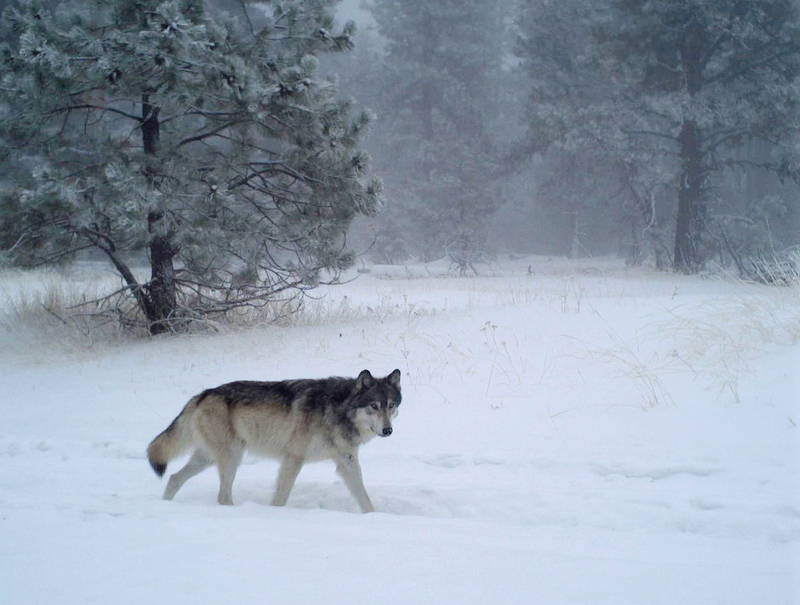 State wildlife biologists counted 137 wolves in Oregon this past winter, a 10 percent increase over last year’s count of 124, according to the Wolf Conservation and Management 2018 Annual Report released today. More info. 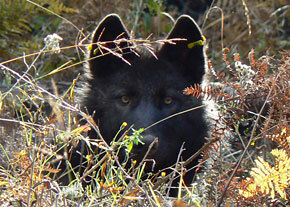 The Oregon Wolf Conservation and Management Plan and associated technical rules guide all ODFW wolf related activities. 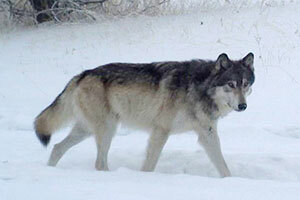 Wolves throughout Oregon are delisted from the state Endangered Species Act (ESA). Wolves are still protected by the Wolf Plan and Oregon statute. 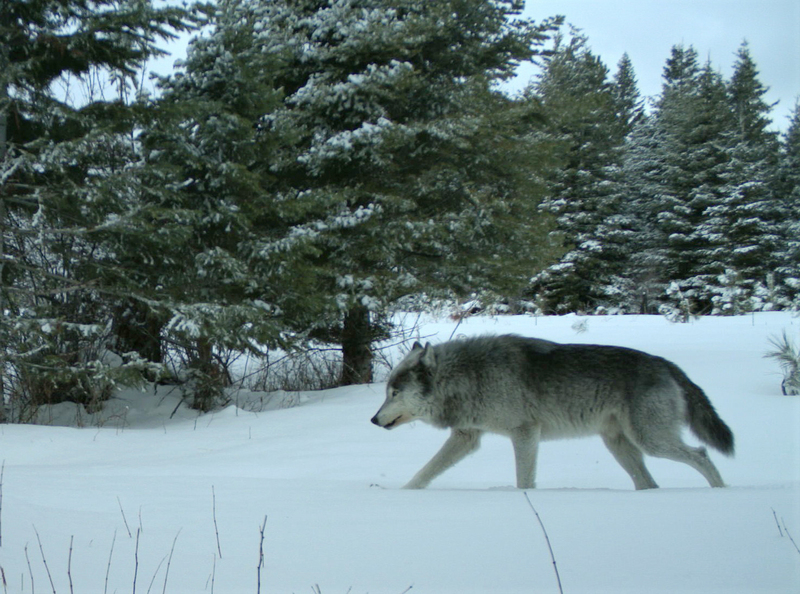 Wolves west of Hwys 395-78-95 remain protected by the federal ESA. The U.S. 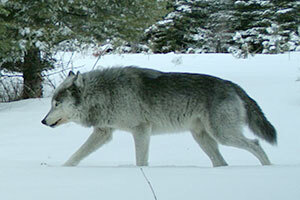 Fish and Wildlife Service is the lead management agency for wolves that occur west of Hwys 395-78-95. The goal of Oregon’s Wolf Conservation and Management Plan is to ensure the conservation of gray wolves as required by Oregon law while protecting the social and economic interests of all Oregonians. Minimizing wolf-livestock conflict and reducing livestock losses to wolves is an important part of the Wolf Plan. 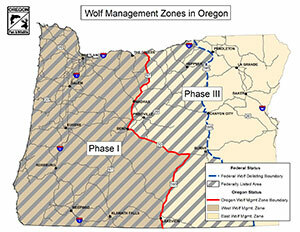 ODFW released its draft proposed Wolf Conservation and Management Plan today. Click on a zone for area-specific information.